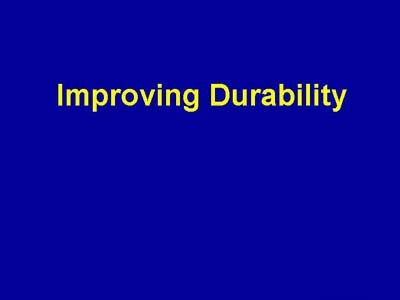 This section of the presentation describes using silica fume to improve the durability of concrete. By far, the greatest use of silica fume has been in applications where improvements in durability have been the goal of the designer. Significant improvements can be seen in the permeability, abrasion resistance, and chemical resistance of concrete.